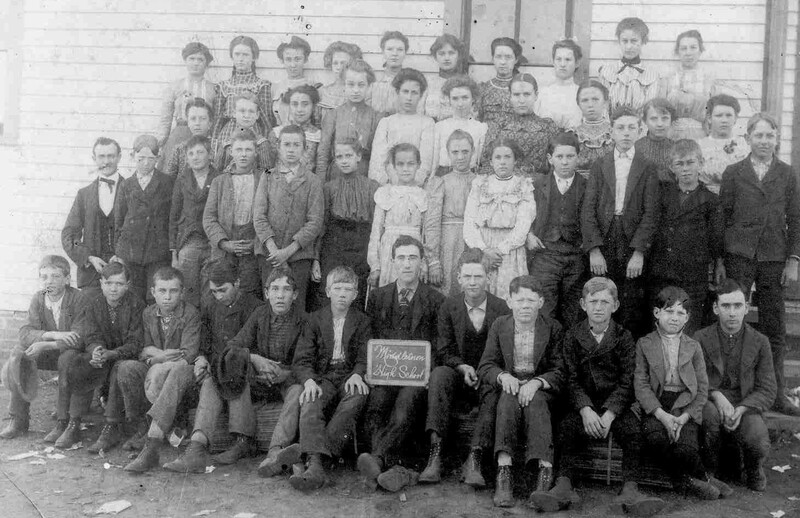 The first picture is of the Middletown Primary with a date on the picture of 1902. Ella Warmoth, grandmother of the submitter, is the teacher. The bottom picture is Middletown High School. The teacher is unknown. It is believed to be from 1905. 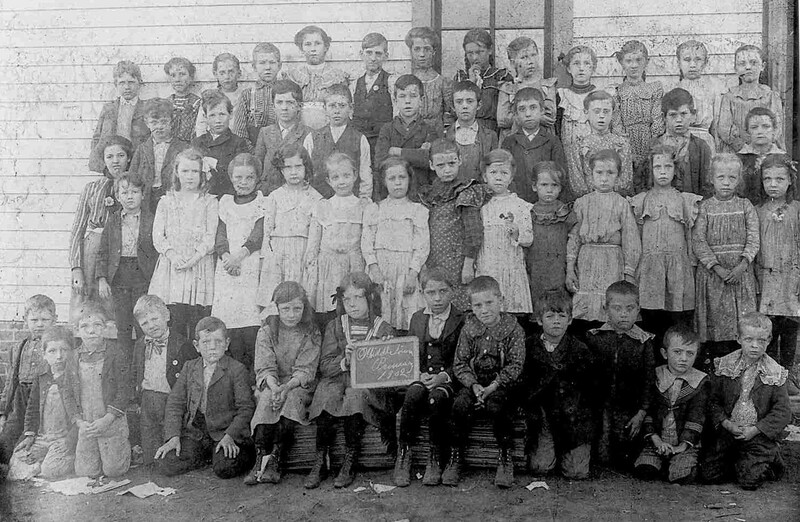 A column in the Middletown Ledger dated Thursday, October 5, 1939, called Delving Into The Past, under "Thirty Years Ago" tells us "On a bid of $14,300 Andrew Gunsten secured the contract for building the new school house. A Bloomington firm will install the heating plant." 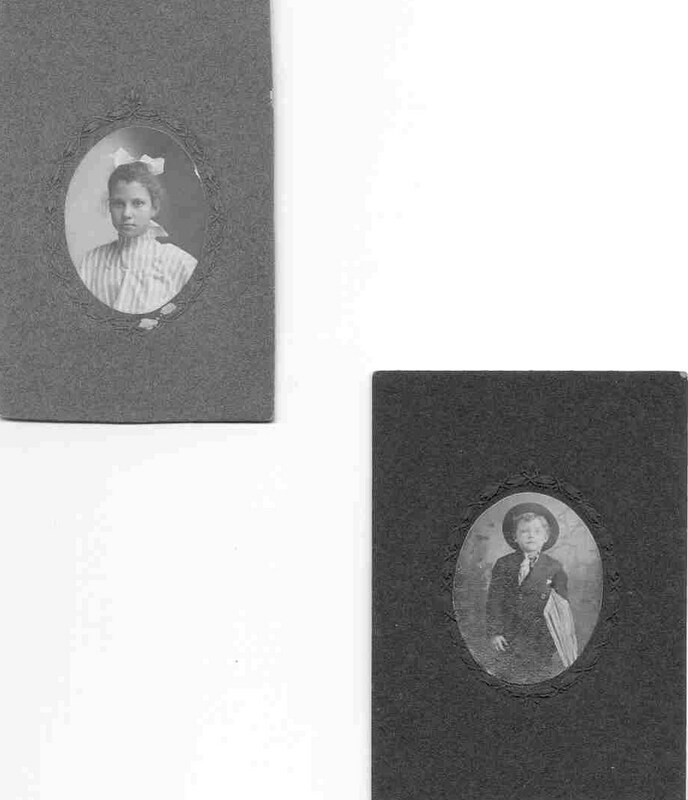 Gunsten married the teacher, Ella Warmonth, in July of 1906. 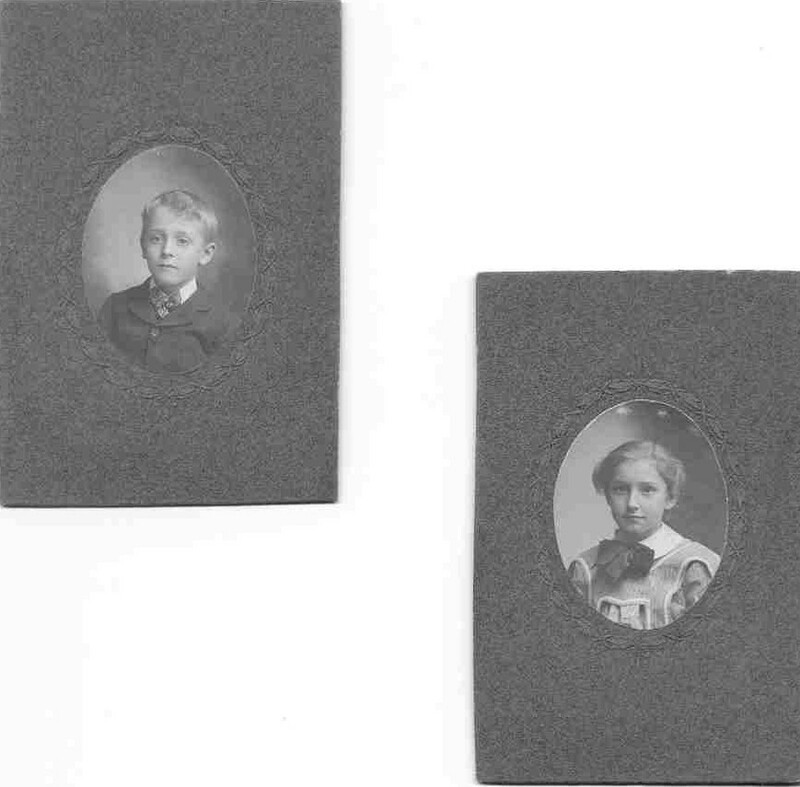 The girl is Elise Montgomery and the boy is Ted Mullins according to what is written on the backs of the photos above. 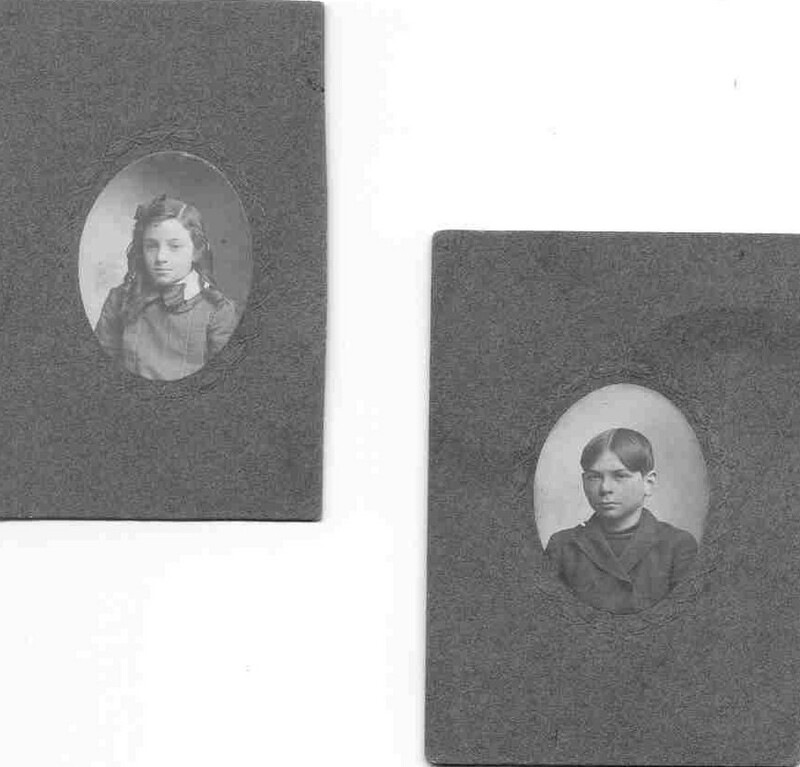 The boy is Johnie Spence and the girl is Essie Combs in the photos above according to what is written on the backs of the photos. These four charmers are a mystery. If you have any information on these children please contact Nan Bendickson. 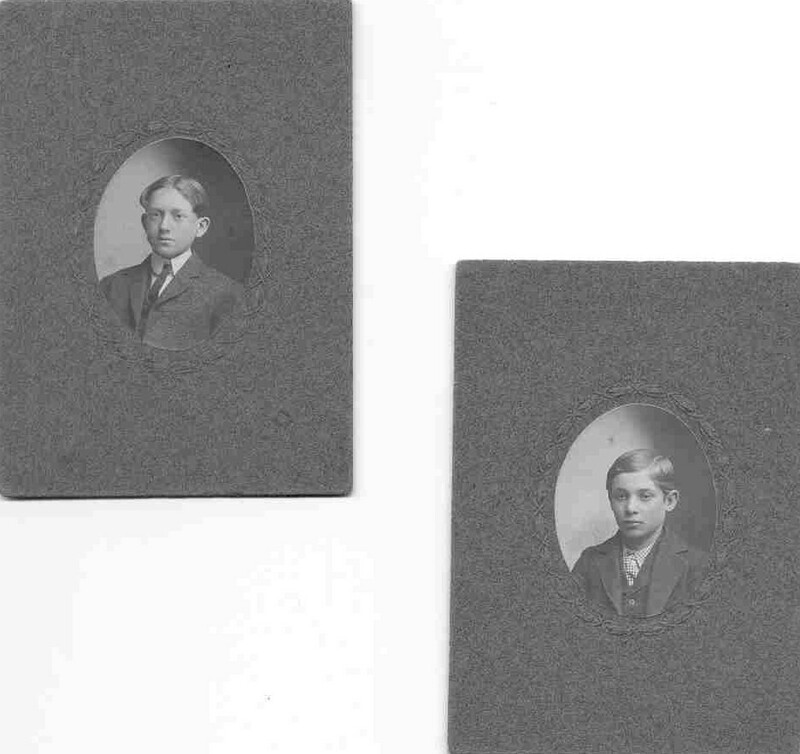 This page is "Middletown School Children" on the Logan County, Illinois, ILGenWeb site. 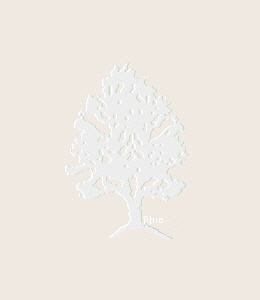 The address of this page is http://logan.illinoisgenweb.org/middletownkids.htm.